Like most capital cities, the average land size for many Sydney properties is far from the standard ¼ acre block. So, if you’re considering adding a new structure to protect your car, it pays to think about the versatility that a carport can provide. A well designed and built Sydney carport can perfectly suit the style of your home and will provide extremely good protection from the element for your car. And if you’re looking for a place to entertain family or friends, simply move the car and you have the ideal spot. 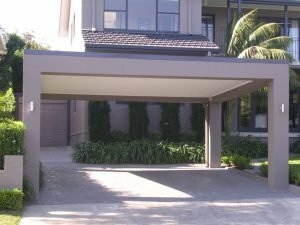 If you are thinking of using your carport as an alternative entertainment area, you might want to consider fully or partly enclosing your Sydney carport. You then have a carport that will provide added protection from the elements for your car and can be used for entertaining even in cold or wet weather. Outside Concepts’ website (Sydney carport) has more information on carports and plenty of photos to inspire you. Or you can contact one of our friendly, professional team members to arrange a free onsite design and quote.